You are here: Home / Town Happenings / The Halloween Express Returns! 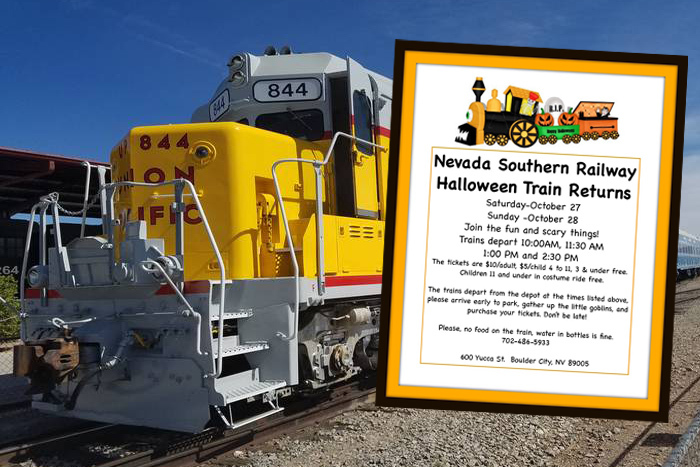 This coming weekend you and your kiddos can get a jump on Halloween and ride the train at the Southern Nevada Railroad Museum in Boulder City. The folks there will have decorated the train and will have some volunteer train crew riding in costume, so bring the kids out to ride the Halloween Express! The decorations, costumes or ride won’t be overly scary, so it will be fine for the youngsters and they encourage everyone to come in costume to be part of the living decorations. The Halloween Express will run on Saturday, October 27th and Sunday, October 28th at 10:00am, 11:30am, 1:00pm and 2:30pm. Ticket prices are $10 for adults (ages 12 and over) and $5 for children (ages 4 through 11). There is no charge for kids ages 3 and under. And CHILDREN 11 AND UNDER RIDE FOR FREE IF THEY ARE IN COSTUME! Reservations are not required and you can purchase tickets in advance at the box office or on the day of the rides. 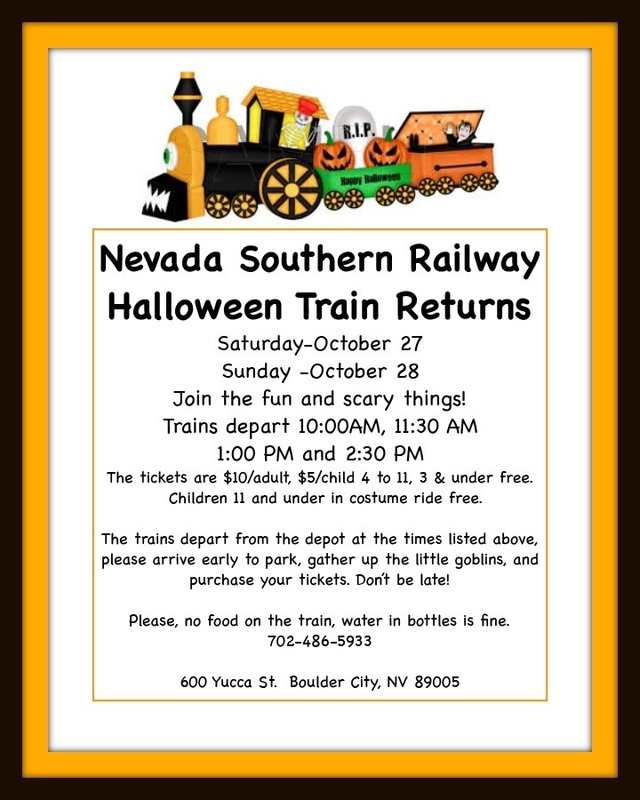 It’s a great way to support the Railroad Museum and have Halloween fun at the same time!